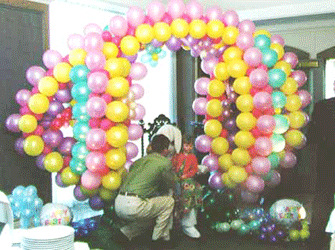 Balloonatics colorful Easter and Springtime themed decorations communicate a unique visual freshness and vitality to an event venue. 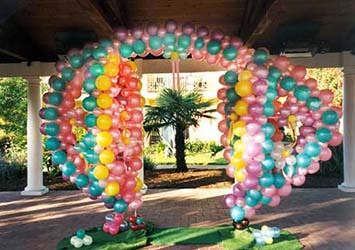 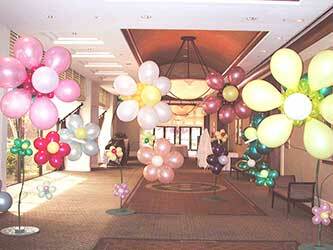 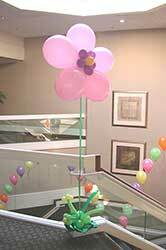 Balloonatics Easter decorations are custom designed for your Easter event. 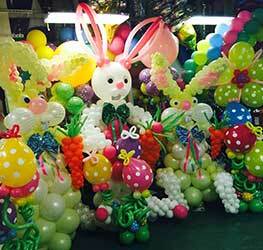 Their bigger-than-life dimensions give a joyful ambiance to Easter parties. 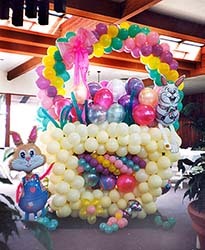 Hotel Easter Brunch Giant Rabbit Decoration. 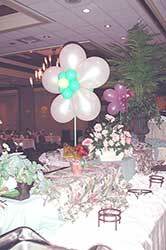 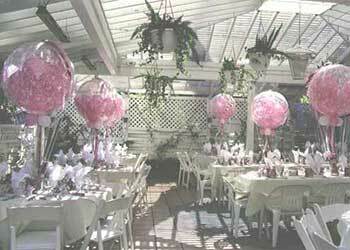 Colorful balloon decorations in springtime pastel colors transform venues into eye catching springtime and Easter themes with a touch of visual magic. 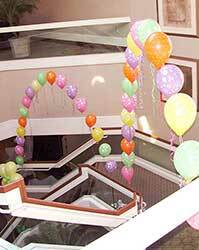 String of Pearls Easter Arch Stair Decoration.